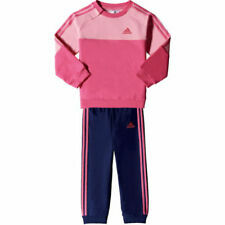 ADIDAS CHILE 62 PADDED INFANT COAT BOY,S/GIRL,S O52894 sz.18 MONTHS.BNWT 15. Colour - Black/White stripes. Material: 73% polyamide, 27% elastane. GIRLS ALL BLACK RACER BACK SWIMSUIT WITH LOGO FRONT. AGE 4 - 5 YRS / 24" CHEST. IMMACULATE CLEAN CONDITION. Type: Crop Hoodie Jumper. Material: Viscose. Colour: Grey. 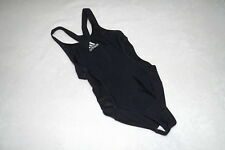 Lovely Girls Adidas Swimming Costume From Next Black/Blue 4-5 Yrs BNWT still in Next packaging & only removed for photos. Forgot I brought & now too small so surplus to requirements. From a clean, smoke free & pet free home. Any questions please ask. Please look at my other boys/ girls/ baby items listed. Type: Padded Jacket. Material: Nylon. Colour: Black. Label Size: 13-14 Years. Stile: CORE18 PRE JKTY. 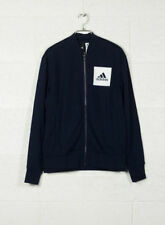 Giacca Adidas Core18 Pre Jkty. Giacca Adidas bella e leggera, adatta per periodo primaverile. giacca Adidas. Bordi e polsini e Orlo a contrasto aggiungono un tocco elegante. Capo basic passepartout.